Wood floors add warmth, richness and value to any home, they stay looking great for years and often take on their own patina and character over time. As a solid surface, it will not harbour dirt, pet hairs, dust mites or moulds, ensuring a better living environment for allergy sufferers. Timber flooring is easily kept clean with the use of a damp, anti-static mop. There are numerous colours, textures and sizes to choose from. Before you make your final choice, your home environment and the affect of heat and sunlight within it, need to be discussed with us – particularly with regards to board width and colour. You have a choice between solid timber and engineered timber. Within the timber species available there is an extremely wide range of colours: from pale Ash, to the warmer Rimu, right through to darker woods such as Oak – African. Many timber species can also be stained: ebonised to create a blackened floor or whitewashed to create a much paler look. Dark floors can add drama and contrast, however if you decide to go very dark be aware that dirt will be more obvious. Mid-range colours are more forgiving. Light floors will generally look more contemporary, but require more maintenance. 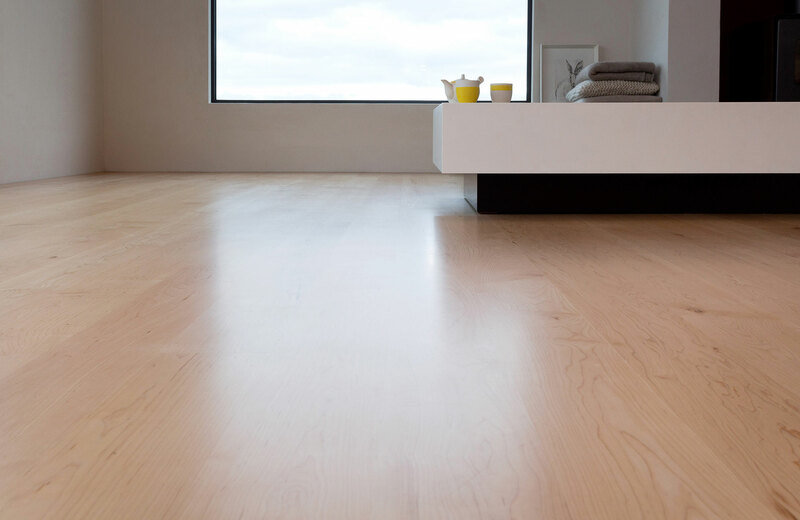 The polyurethane (available in a variety of sheen levels) that we apply to our solid timber floors is clear. Prefinished flooring will closely match the sample at the time of laying. However, as wood is a natural and sensitive material its colour will change over the course of time due to exposure to light sources, whether natural or artificial. The speed and degree at which this photo-chemical reaction occurs depends on the type of wood chosen and the coating applied. A slight colour change shortly after installation is usual. When choosing the ‘look’ you wish your home or office to have, it is important to consider which species of timber you would like to use. With some species, such as Maple, the appearance of the wood grain is very subdued. In others, such as Oak – Antique, it is very dominant. This will determine how busy your floor will look. The colour will generally be determined by your species choice, however, within one species there may be variations. No two trees are alike; therefore we cannot always guarantee that your floor will exactly match the flooring sample shown. Take a closer look at the variety of timber species available within our Solid Wood or Engineered Wood ranges (remembering that solid timber can be stained). Also worth considering is the effect different widths of timber will have on the style of your floor. Board widths can range from narrow 65mm boards through to the extra wide boards of 200mm, plus there is an engineered three-strip board. It is worth noting that board size can influence floor stability and movement. The squarer the profile of the board, when viewed from end on, the more stable the floor will be. For example, a floor made from 85mm x 19mm T & G boards will better withstand movement and shrinkage, than one made from 200mm x 12mm boards. We recommend Unfinished European Oak for greater stability in a wider board. A timber floor, if treated and maintained correctly, can last well over thirty years. It should be extremely hard-wearing, so for this reason there are certain timbers we do not recommend, as these will dent more easily and can be prone to cupping and shrinking – we always recommend stable hardwoods. In areas of exceptionally heavy traffic we may recommend that you use certain types of timbers over others. Please see The Nature of Wood for further details that may affect your flooring choice.